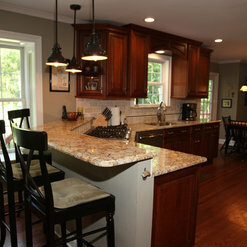 I hired Zach to rebuild my kitchen island and create custom cabinets to match and add polish to a builders grade kitchen. His work was amazing! 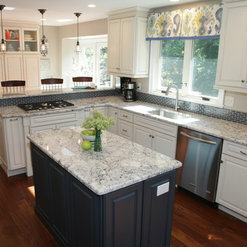 The island was perfect and the craftsmanship on the cabinets blended in and complimented my existing ones perfectly! My new kitchen went from boring to beautiful! This was all done in a timely manner from first estimate to finish! 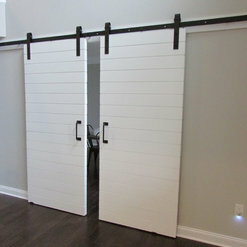 Zachary's knowledge and construction expertise is exceptional, as is his professionalism and quality of work. 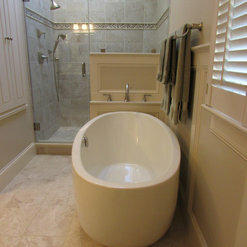 He is competitive with his estimates, and always comes in at or below the quote. 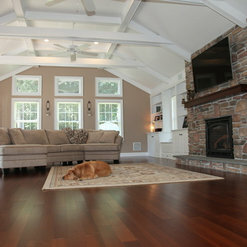 He's done minor construction in my home as well as hardwood floor installation, and I am very pleased with the work. I will definitely be using ZSR in the future. 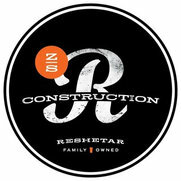 We would highly recommend ZSR Construction! 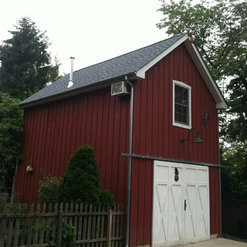 ZSR completed a full-scale renovation on our house, top to bottom, and we couldn't be happier. Their team is professional, respectful, knowledgeable, courteous and most of all, trustworthy. They spent a year in our home, and when they were finally done, they felt like family! 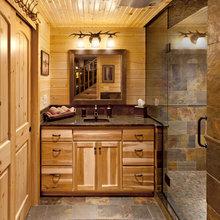 Shawn's expertise in building custom homes brought detail into our home that is unsurpassed. 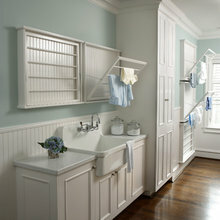 They are very mindful of budget, and are quick to provide alternatives and find the best prices on materials. Their commitment to meet deadlines can be described in one example: while we were on vacation, they worked all weekend to finish up our bedroom so that when we came home we would have a nice surprise! This was unexpected and very much appreciated. We would recommend them highly. ZSR Construction from start to finish was professional and got the job done on time. I love the motto of their company .... There are no problems, only solutions. I love that they walked me from start to finish of my project. 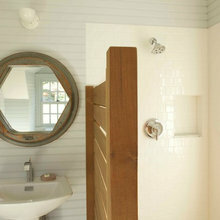 One important factor is to be able to trust your contractor in your home... I trust everyone who works for ZSR.... Love them for making my dream kitchen a reality. We appreciate the work as well as your patience with the ProSource situation. Excellent work. Quality craftsmanship. Organized and detail-oriented. They are professional, respectable, and easy to work with. I knew I could trust them to do the job they would if it was in their own home. ZSR Construction did an excellent job for me! We did a full renovation project on my restaurant/bar and it was nice to work with Sean and Zack who worked on a schedule that would not conflict with my everyday business. The final results of the project were excellent. We got many compliments from our guests and would highly recommend them. 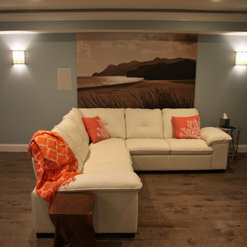 Nice job, Matt Caffrey / Owner Chambers 19 restaurant Doylestown, Pa.
We had a limited budget to redo our basement. It was in bad shape. ZSR worked with us every step of the way to give us exactly what we wanted. They made what should have been a painful process a pleasure. I would never think of hiring anyone else if we have additional work to do. Zach and his crew did an amazing job on our addition and renovation. They gave us a new kitchen, a new powder room, and a master bathroom and bedroom. It was a huge job. They converted our fixer-upper into our dream house. We couldn't be happier. I would recommend them with utmost confidence. 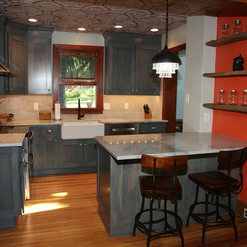 We hired ZSR this spring to renovate our kitchen. 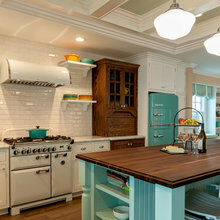 It was a major project that included removing soffits, removing two walls, reconfiguring islands, installing new cabinets, building a custom cabinet, re-routing some plumbing, installing new lighting, hiding a header, etc. Zach and Shawn did an excellent job. 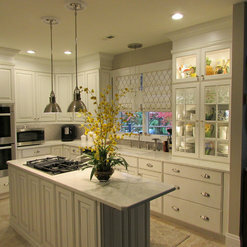 We have the kitchen of our dreams, and they were a dream to work with! We couldn't be happier with ZSR. They were punctual, precise, clean, polite, flexible, creative, hard-working, responsive. We would highly recommend them (and we have to anyone who even hints they might be thinking about a home renovation.) The entire project took 5.5 weeks, and the few bumps we ran into were addressed quickly and professionally. They clearly take pride in their work, which means high-quality results. Thank you, ZSR!